Country music entertainer, military veteran and award winning TV host Craig Morgan is setting the stage for the return of his hit television show, "Craig Morgan: All Access Outdoors." The eighth season of his award-winning show will premiere in a primetime slot on Friday, June 30th at 7pm EST on Outdoor Channel with repeat airings on Friday and Sunday. Check local listings or visit www.OutdoorChannel.com/ChannelFinder to find out how to get the network in your area. 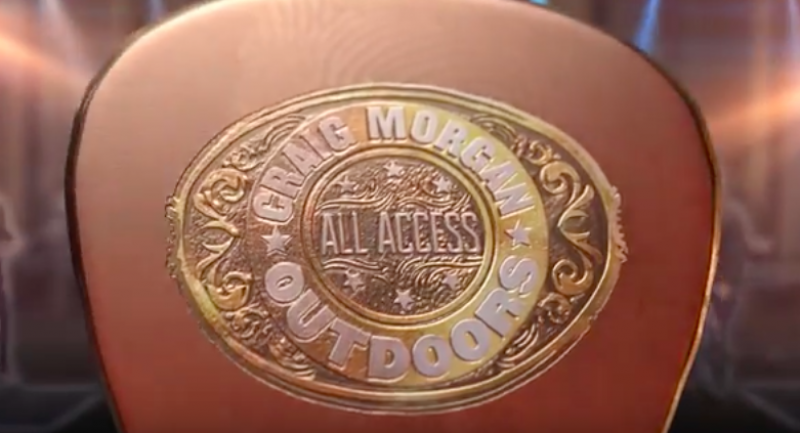 Morgan's dynamic personality, lifelong love of the outdoors and considerable television experience make "Craig Morgan: All Access Outdoors" a must-see for outdoorsmen and country music fans alike. Adventures in the eighth season include travels to Kodiak Island for a big Sitka Black-tailed deer, a special hunt in Texas where Craig hosts a veteran from each branch of the United States military, a trip to south Florida to chase Oceola Turkey, and more memories made with NFL star Tyler Eifert, his daughter Aly and wife Karen. Craig has also created a very special episode featuring some of his favorite hunting memories with his son, Jerry.